If you told me I had to choose one fly to fish for trout for the rest of my life, it would be a soft-hackled bead head Pheasant Tail. You can fish it like a nymph, fish it like a wet, or do both. All on the same drift. Woo-hoo! When I first tried to catch a steelhead with a fly that used all-natural materials and drab colors, I chose this pattern. Mission accomplished, and now it’s a staple. 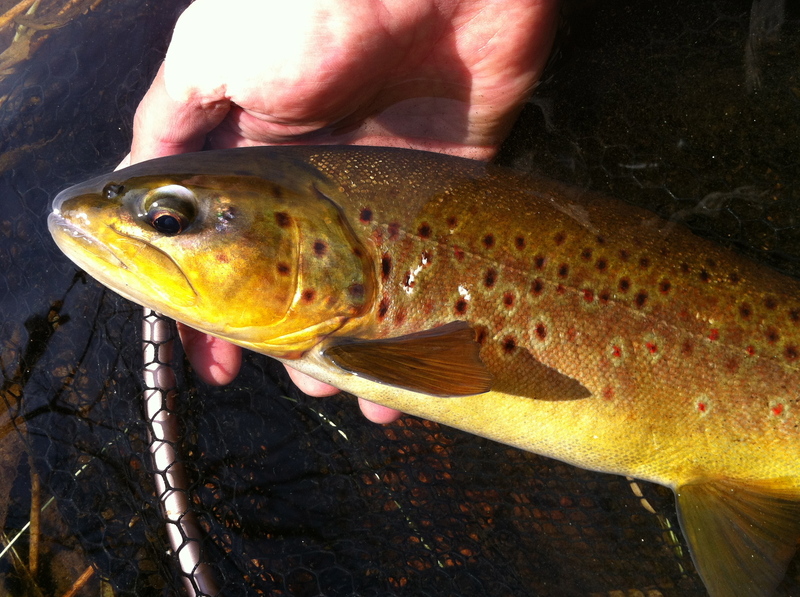 Late winter Farmington brown, size 18. This modern take on the traditional template is one of my favorite steelhead patterns. T.E. 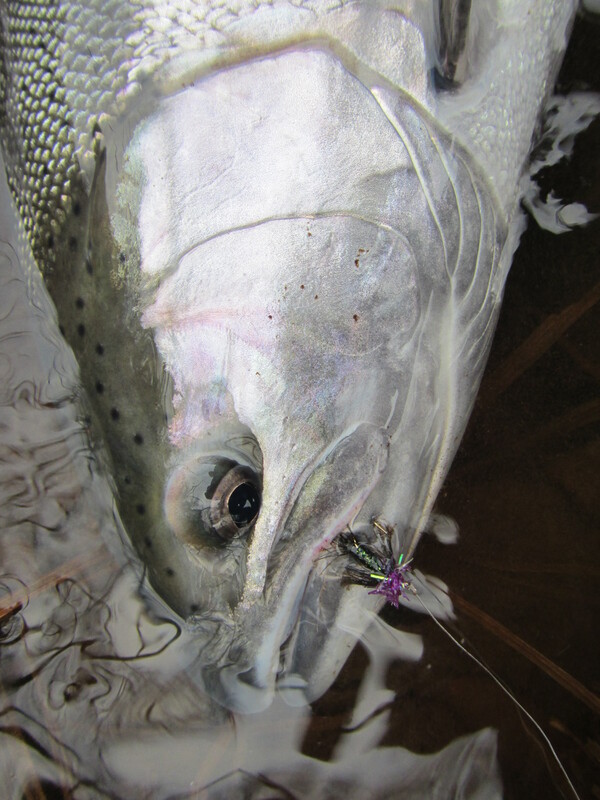 Pritt never chased chrome, but his renowned North-Country spiders make for fine steelhead soft-hackles. I’ve had even more success with the spider template by adding a tail and using bright colors and modern materials. 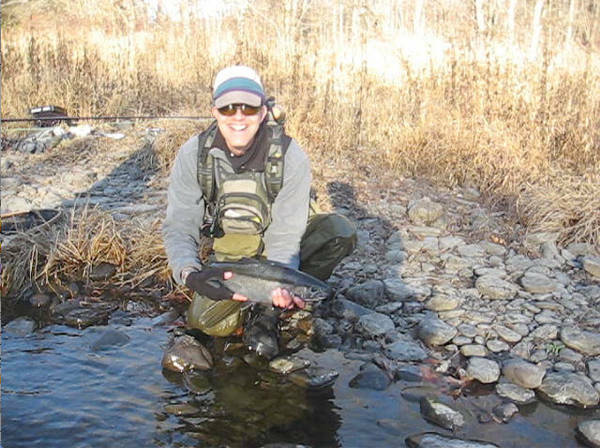 Pritt may be rolling over in his grave at the liberties I’ve taken, but he could not argue with the results: steelhead love this fly. Classic North-Country patterns like the Winter Brown and the Grey Partridge sport a head of wound peacock herl. In the Spider Egg, I’m simply using a few turns of Estaz Petite. The Estaz should be a contrasting color to the monochromatic body, wing, and tail. I like black/chartreuse; chartreuse/black; chartreuse/white; black/purple; and metallic copper/black. You can and should experiment with different color combinations. I’m gotten a lot of requests to do a video on my soft-hackled streamers, so here you go with the Hi-Liter. It was the mid 1980s. I’d just landed that coveted first job as a junior copywriter at a mid-sized Connecticut advertising agency. Every job that came across my desk included a creative brief: the background, current situation, brand essence, single most important thought, and support points for what I’d ultimately be creating. I’d pore over the brief with the eagerness of the cub writer I was. But then, I’d want that brief to be even briefer. So I’d reach into my drawer and pull out a highlighter marker. Usually bright green or fluorescent yellow. Sometimes pink. When I was done, that brief would be focused on the essentials. I could see at a glance what was really important. That’s the energy behind the Hi-Liter streamer. The moment it hits the water, trout can see what the most important object in the pool is. It’s that thing. That bright, moving, flowing thing. Can’t miss it. There it is. Never seen a baitfish in those colors. But oh, look how it moves and pulses and flashes. The heck with those little black stones. I want that thing. Now. Better eat it before it gets away. I’d like to tell you that I thought long and hard about the Hi-Liter, and that I field tested it for months. But the truth is that I made it up on the spur of the moment several years ago just hours before I stepped into the river. The trout liked it that day. And they still do. The Hi-Liter. It looks substantial here, but it casts small, and slims down dramatically in the water. A wallflower this streamer is not. Subtlety escapes it. See how the colors pop against muted earth tones? I love the Hi-Liter on bright, sunny days. All wet. My original prototype from years ago. 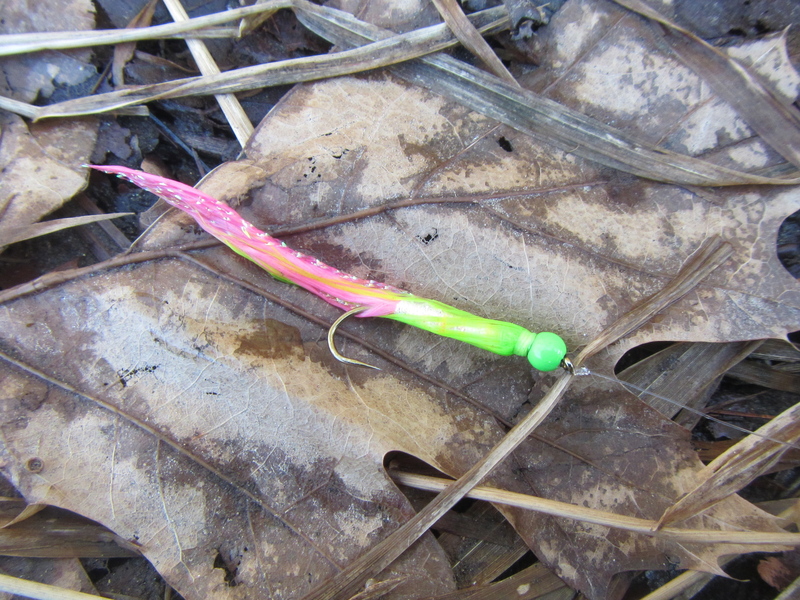 Tying notes: With the bead head and the wire seating, the fly will ride hook point up. The weight addition is subtle; this is not intended as a “carpet bomb the bottom” fly. 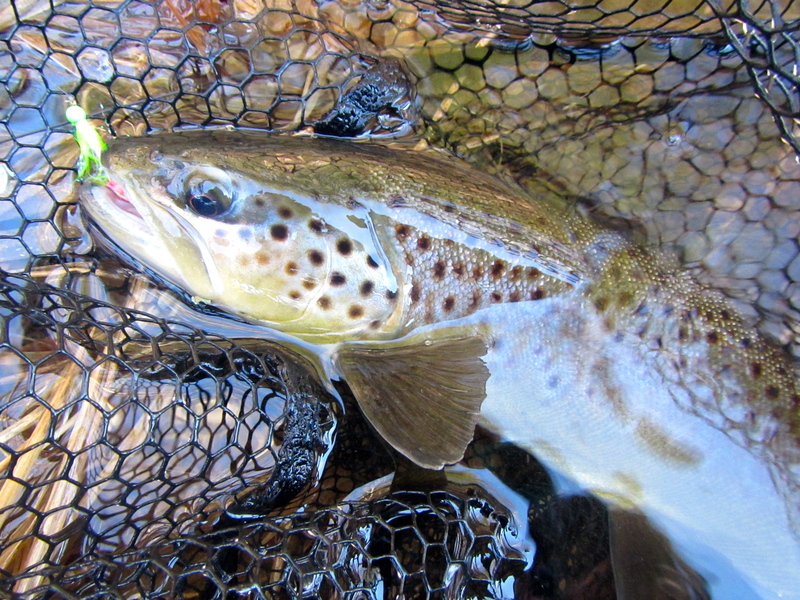 For a more traditional style streamer, skip the bead and the wire. Besides the marking pen reference, the original color scheme draws from the extensive use of chartreuse and pink in striper files. 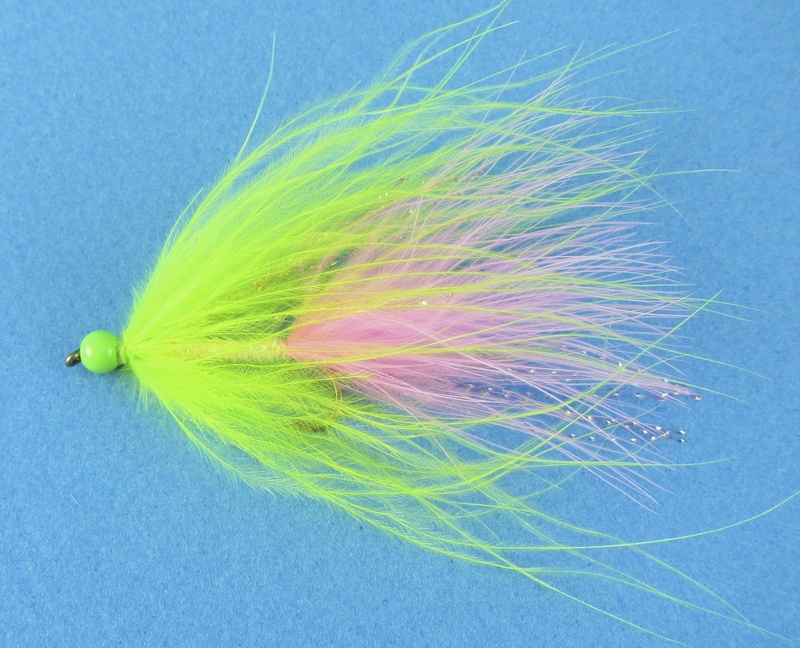 I also tie this fly with a fluorescent yellow or chartreuse tail, and a white hackle. 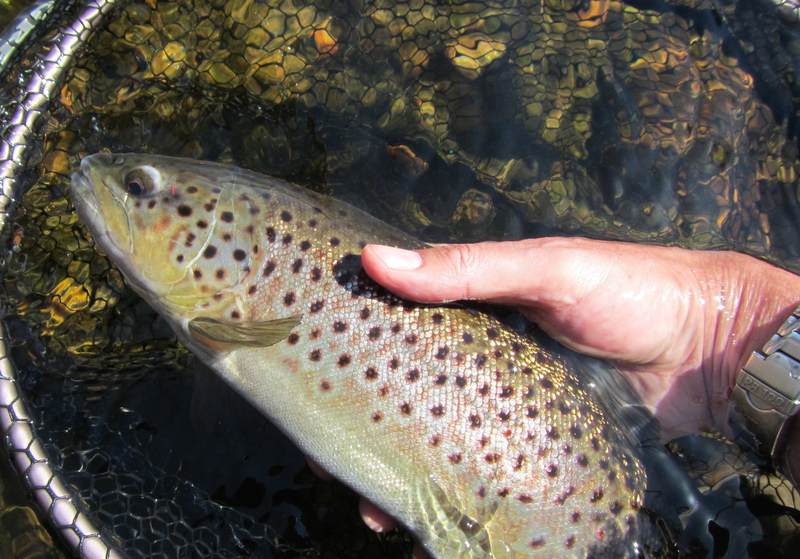 Try not to over-dress the fly; you want the hackle to act as a veil, creating a translucent effect against the body. When it comes to soft-hackles, feathers get all the juice. That’s perfectly understandable. But certain furs – like fox squirrel – make excellent hackling material. The results are often deliciously buggy. 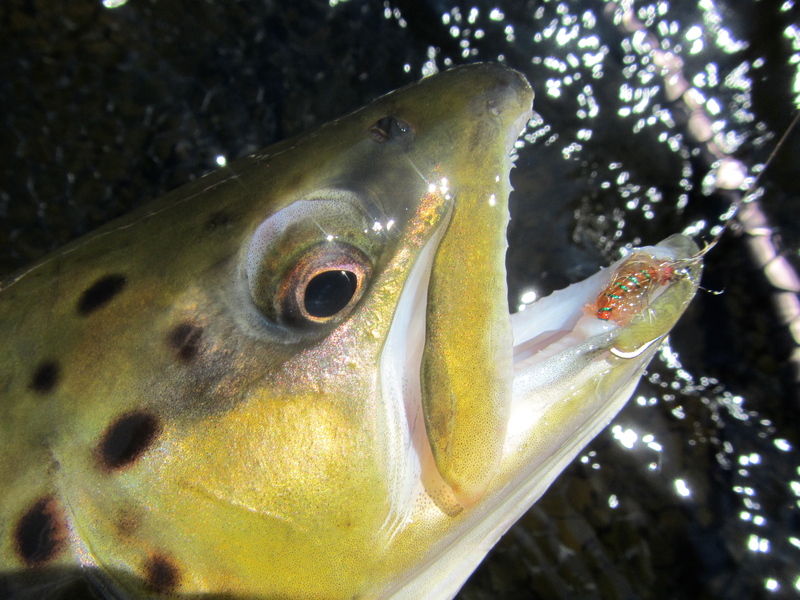 Such is the case with the Squirrel and Ginger caddis emerger. This humble creation is something I made up a few summers ago. I took the Ginger Caddis Larva fuzzy nymph and swapped out the standard wet fly hook for a scud hook. Added a flashy rib. And replaced the rabbit fur thorax with a hackle of fox squirrel. 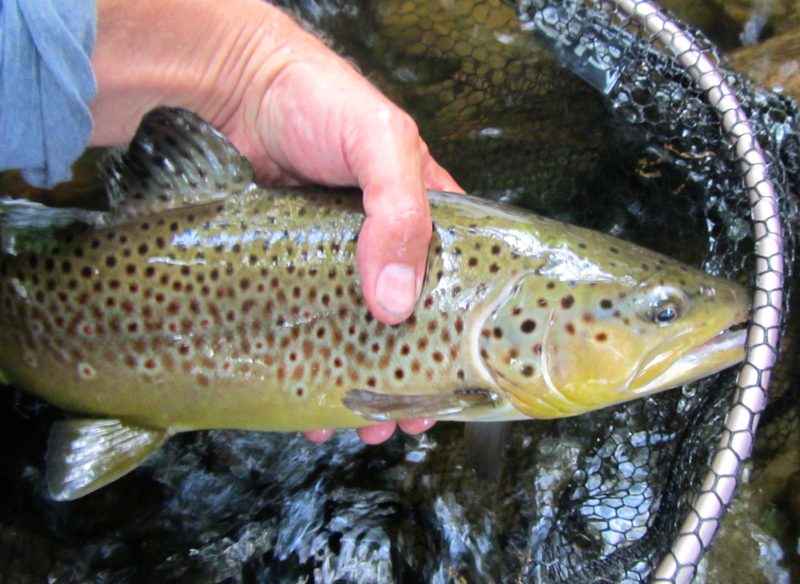 The first time I fished this fly was on a brilliant July day that was devoid of hatch activity or rising fish. The sun was high, the air was steamy, and felt a little foolish for making the drive to the Farmington. Until I started hooking fish after fish on this little caddis emerger. 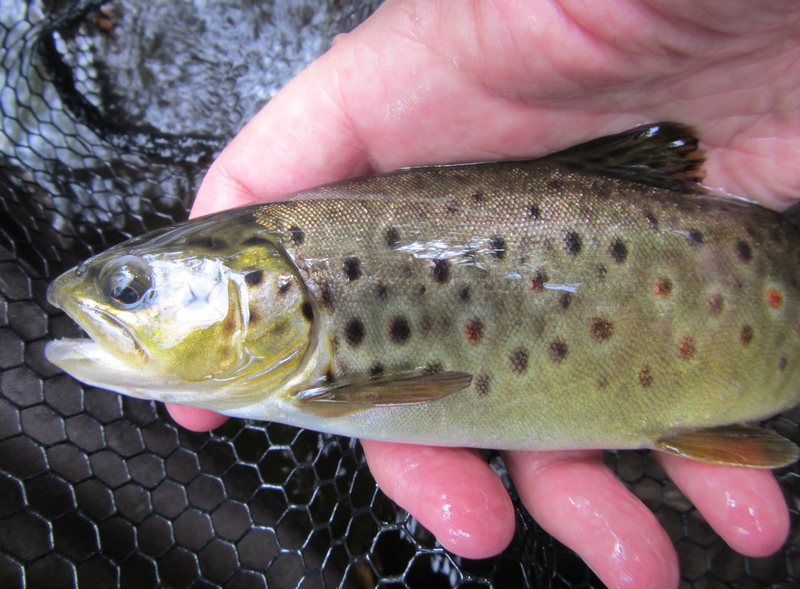 It was the middle fly in a team of three, and the trout stated in no uncertain terms that this was their favorite. 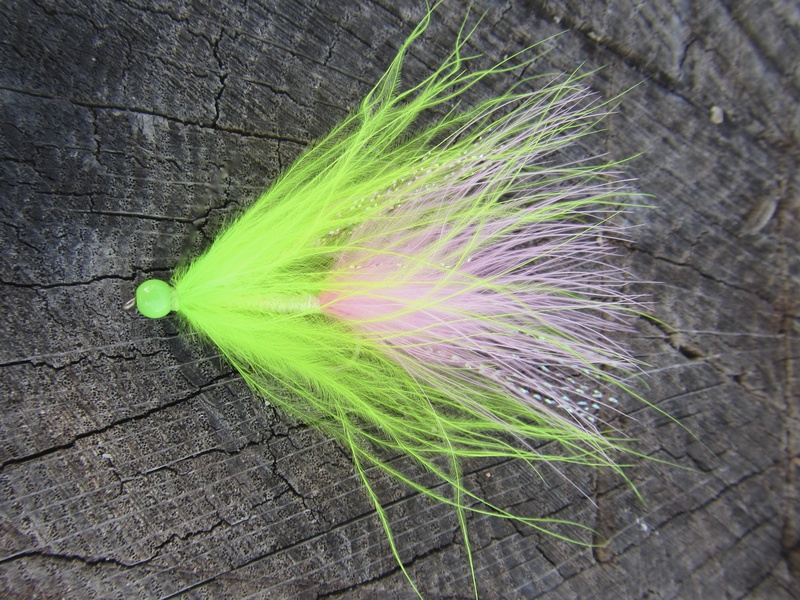 The Squirrel and Ginger is a fine introduction to fur-hackled flies. It is fairly easy to tie. 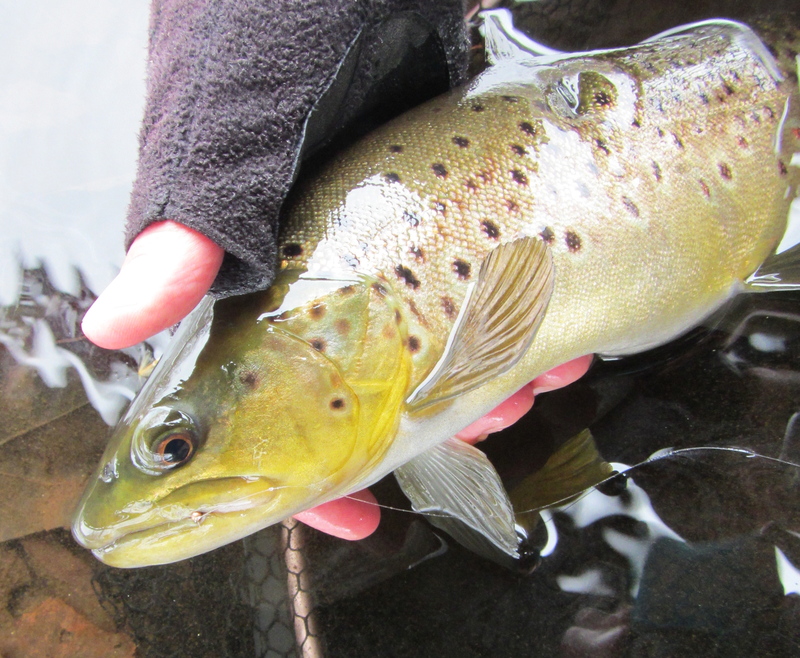 Best of all, it’s a wet fly you can have confidence in. I’m not sure this really needs a how-to video, but the 60 Second Redhead is such an amazingly productive steelhead fly that I had to share it.